The morning started off just perfect - snow, sun and no wind. An hour later; snow, sun and a blisteringly cold wind that was whipping up the dry snow. 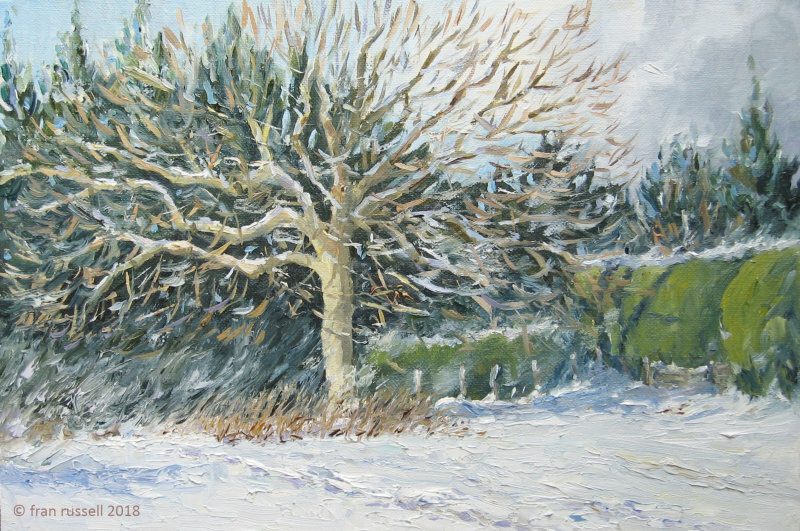 I stuck with it though, just in case I don't get another chance to paint a snow scene this winter. Size: 20 x 30 cms.